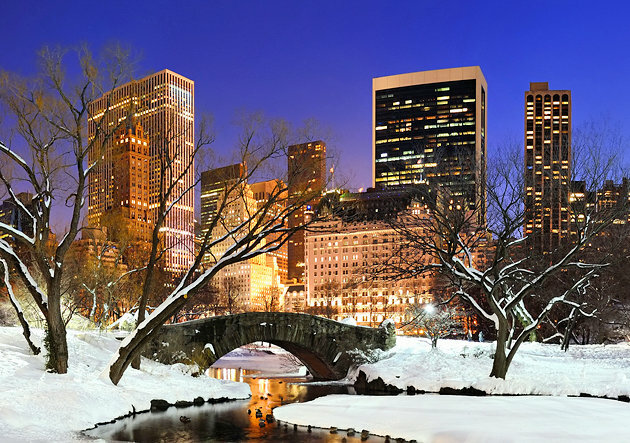 One of the greatest cities in the world, New York is always full of activities, with famous sites at every turn and never enough time to see them all. The Statue of Liberty was France's gift to America. It offers a fine view of the New York Harbor and lower Manhattan. 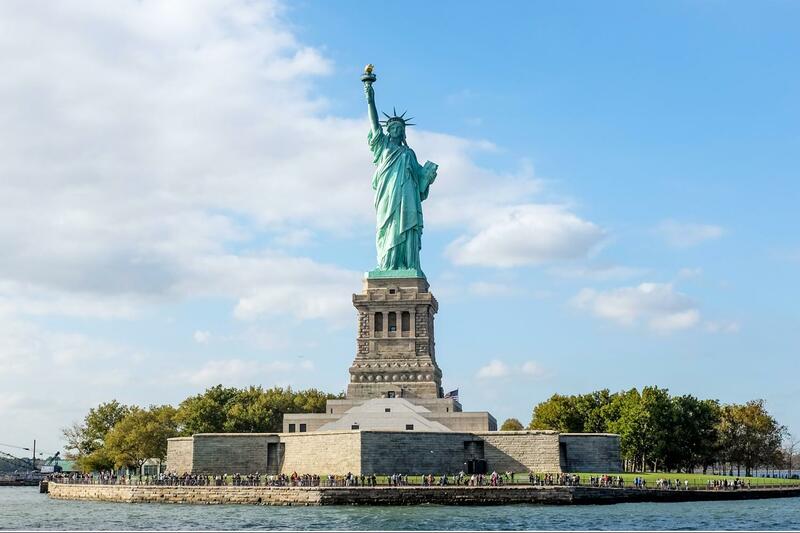 It is located on Liberty Island and a short boat ride is required to get to the statue. 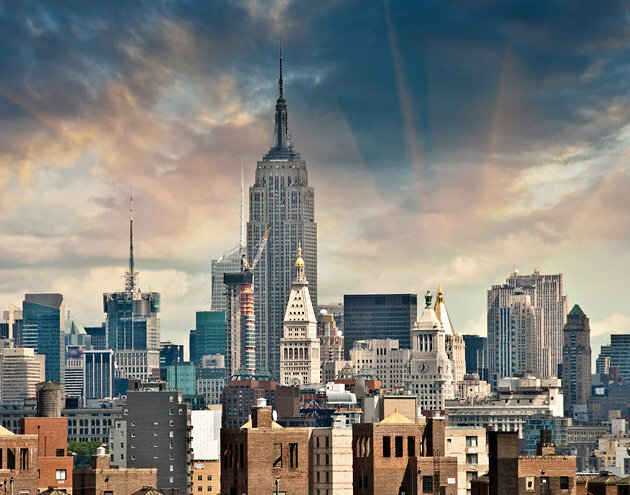 The Empire State Building is New York's most famous landmark. The 381 m tall, 102-storey building was the tallest in the world until the 1 World Trade Center tower rose higher 41 years later. Central Park is the playground of New Yorker's. This huge park in the city center is one of the things that makes New York such a beautiful city and not simply a concrete jungle. 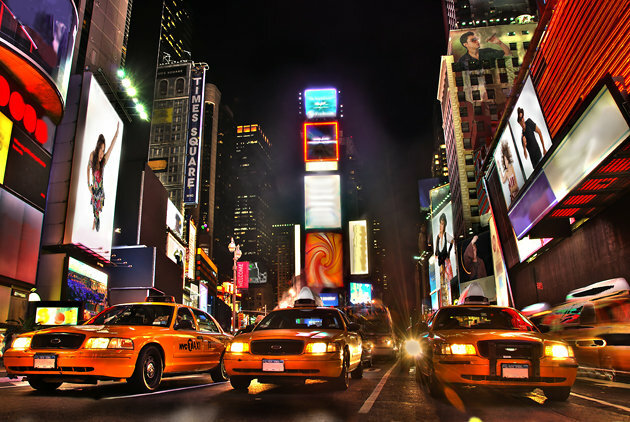 Taking in a Broadway show is one of the highlights of a visit to New York City. Considered the pinnacle of American theater, it has long been world renowned for its performances. The Metropolitan Museum of Art, or "The Met" as it is commonly known, was founded in 1870. The permanent collection at the Met contains over 2 million works of art. Rockefeller Center is a vast entertainment and shopping complex in the middle of Manhattan, and home to NBC-TV and radio and other media. Fifth Avenue has long had a reputation as New York's premier shopping area. The Brooklyn Bridge, completed in 1883, was the world's first bridge to be constructed of steel. Formerly Longacre Square, Times Square was named in 1904 after the New York Times tower. The newspaper first posted current headlines along its famous moving sign, the world's first, in 1928. Stretching for 8 city blocks from Broadway to South Street is the world famous Wall Street. St. Patrick's Cathedral is one of New York's finest examples of Gothic Revival.